A lawyer has pledged to continue a compensation claim for the families of the victims of a fatal helicopter crash in Norway, after the criminal case was dismissed. Earlier this week Norwegian authorities said a “lack of evidence” meant no individual or company could be prosecuted for the fatal Super Puma crash off the island of Turoy in April 2016. Thirteen people, including Iain Stuart from Laurencekirk in Aberdeenshire, were killed in the incident involving the CHC-operated helicopter. Stephan Eriksson, from the Stockholm-based Excello Law firm, confirmed that the decision from Norway’s state attorney not to prosecute will not affect his case. He is working alongside an American legal team seeking compensation from helicopter manufacturer Airbus for the families of the victims. The firm, Kreindler & Kreindler, specialises in aviation law and helped recover millions of dollars from Libya’s government for the victims of the Lockerbie bombing in 1988. Mr Eriksson argues the lack of a criminal aspect has no bearing on the civil compensation claim. He said: “The issue of criminal liability is not at all a requirement for Airbus’ liability under the EU regulation on products liability. “This regime is based on strict liability (irrespective of negligence) just like the products liability law in the United States. 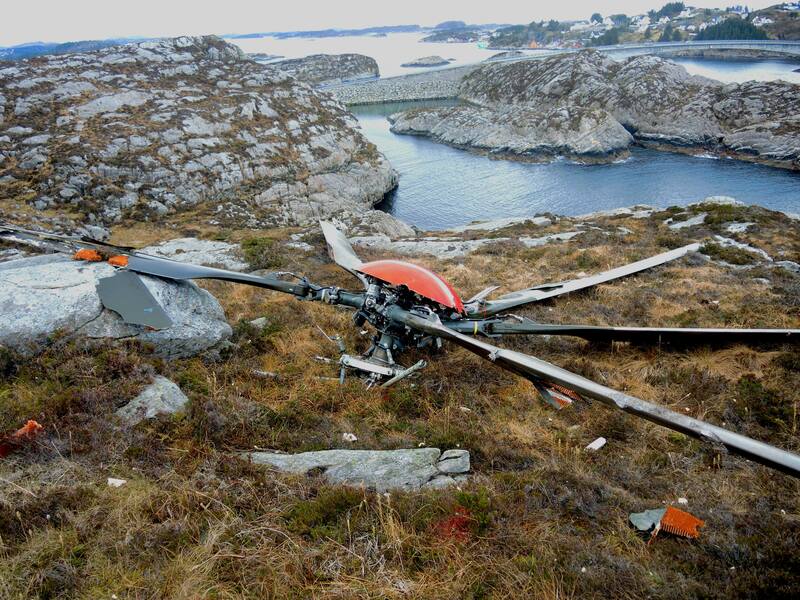 An investigation into the incident by Norway’s Air Accident Investigation Board (AIBN), found that equipment failure in the main rotor gearbox was caused by tiny pieces of debris wearing away at it. AIBN said there were “significant lessons to be learned” relating to the gearbox design and detection systems for debris particles. The report also said there was a trend of most of the gears being scrapped early, but Airbus failed to routinely examine the parts to find out why. Mr Eriksson added: “Neither does the decision by the Statsadvokaten (state attorney) in any way change the conclusion by the official accident investigation of the gearbox causes of the accident and that Airbus did not follow up the previous accident sufficiently. The helicopter manufacturer has been asked for comment. At the time of the AIBN report this year, Airbus said it could not have prevented the crash and that “neither aviation authorities nor industry” had seen the type of crack which caused the crash.